As a contingency fee-based attorney, you are a natural risk taker. Why else would you choose a career where your financial wellbeing is contingent upon so many factors you cannot control? Yet it is precisely because of the nature of the profession that so many successful plaintiff attorneys regularly engage in a convention which seems to run counter to this risk-taking orientation, incongruous though it may seem. They structure their attorney fees. That’s right. Ironically, attorneys who take the steps to routinely structure a portion of their fees find that, by choosing guaranteed future financial security that is essentially risk-free, they enjoy greater freedom to better manage the risks inherent in running a successful law practice. With the nation’s financial balance sheet in dire need of shoring up, incomes of high wage earners have recently been targeted as sources of government revenue. With the passage of the Taxpayer Relief Act of 2012, those at the highest end of the continuum saw their marginal tax rates increase 13.1%. Many Californians received a double whammy when voters passed Proposition 30 in 2012 pushing their state marginal tax bracket to 13.3%, up from 10.3% – a whopping 29.3% increase – making high income professionals there the highest taxed individuals in the nation. While Structured Attorney Fees make sense for nearly all practitioners, for those lucky enough to fall into that high income category but not lucky enough to do so consistently, the benefit of spreading out their tax liability can be even more pronounced. Absent structuring, these fine folks can find themselves being taxed like millionaires one year only to join the ranks of the non-millionaires the next. It need not be this way. 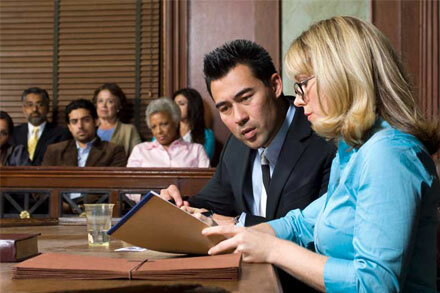 Structured Attorney Fees to the rescue! We handle the paperwork and coordinate things with all parties to ensure your choice is properly implemented and your future secured. 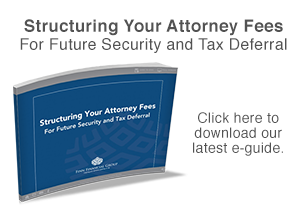 Because Structured Attorney Fees require the defendant or its carrier to purchase the annuity (usually indirectly via a Qualified or Non-Qualified Assignment process), you are not taxed on any sum you structure in the year of settlement. Instead, you are taxed on the income as received, principal and interest, in the year your chosen cash flows are made to you. This step is necessary in order for you to avoid constructive receipt of the funds. 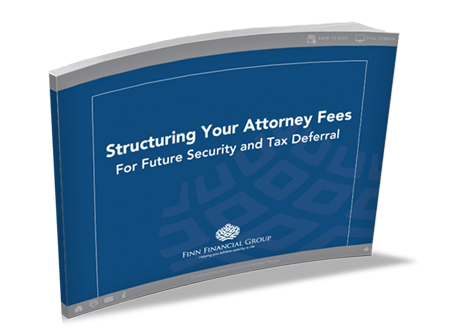 NOTE: Unlike in years past, it is NO LONGER REQUIRED that your client structure their settlement in order for you to structure your fees. We are proud of the vital role we’ve played for more than twenty years in helping many successful plaintiff attorneys secure their financial futures when they choose to structure their fees. Taxes should never drive all of your financial decision making. But when you compare the compounding value of tax deferral, attractive relative rates of return and future guaranteed security, a Structured Attorney Fee is hard to beat. So put your future in your own hands by letting us help you keep more of your hard-earned money. Make a commitment to contact us today BEFORE you conclude any settlement discussions. Whether you are an existing client or a first-timer looking to begin securing your future, we look forward to helping. Don’t wait until everything is settled. Now is the time to contact Finn Financial Group to find out how we can help you.